Can be attached to columns & legs, bun feet, and corbels to add industrial-style glam to any room. Affix to the corner of our hand scraped floating shelves to add unique and interesting mixed materials. 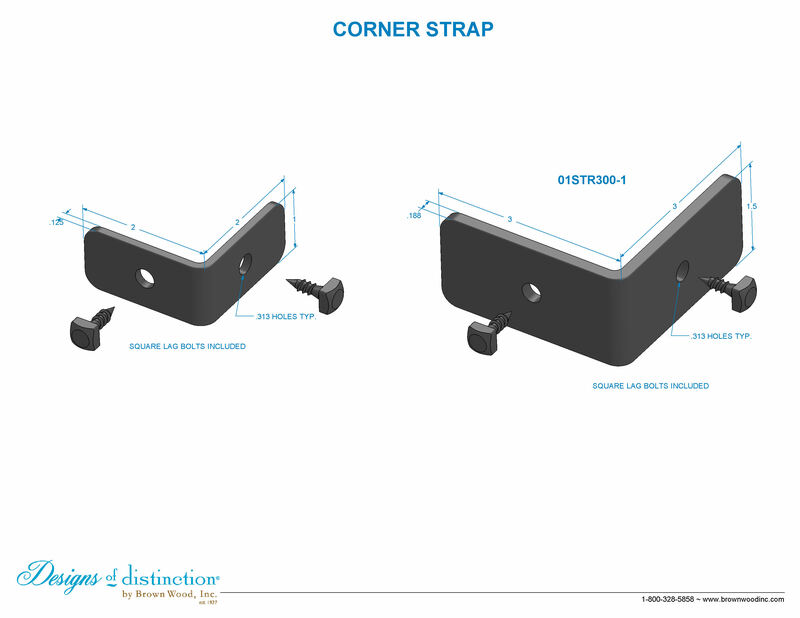 Our Apex Corner Straps work with multiple sized columns, legs, shelves, and corbels. These 2″ & 3″ straps are an ideal way to add a touch of metal to your designs. Each strap comes complete with pyramid head screws in matching finishes.